I went with my favorite of the angry birds, and I gave him a pig to menace. Thanks to Sandra for the suggestion! Everyone had good ideas, but these were simple, the patterns were easy to find, and I think they'll be a hit with the neighborhood trick-or-treaters. However, a few friends have cautioned that the pig will probably end up splattered on my driveway by Tuesday morning. As one of them pointed out, I created something that society has trained us to destroy! I came out of my house this afternoon and on my front door there's an angry bird glaring at a plump green pig. My mother apparently stopped by and put the magnets on. 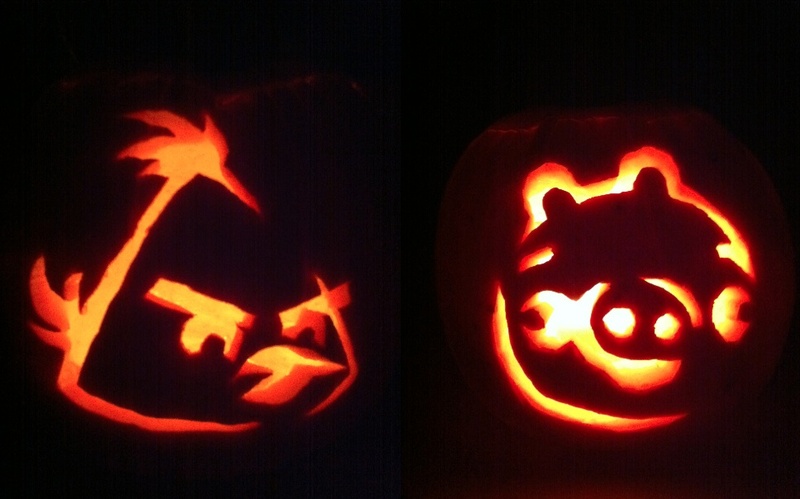 So, it's a big day for angry birds all over. A coolmath game is a game whose rules, strategies, and outcomes are defined by clear mathematical parameters. Often, such games have simple rules and match procedures.